Marriage has grown stale for puppeteer Craig Schwartz and his devoted animal lover wife, Lotte. Craig thinks of himself not just as a puppeteer, but as a true artist. Though desiring to earn an income exclusively through his puppeteering, he is forced for the time being to take an additional job as a menial file clerk in a Manhattan office building. 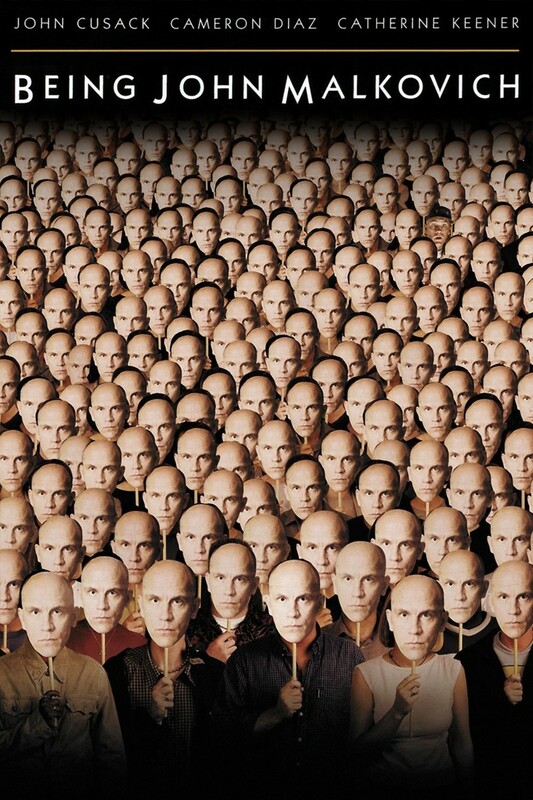 While retrieving a fallen file, he discovers a door behind the filing cabinet which he eventually understands is a portal into the mind of the actor, John Malkovich. Craig's exciting find has people waiting in line to take turns for the fifteen minute increments of being John Malkovich. Utilizing the unique experience multiple times for himself, Craig will change in ways he cannot fathom.